Employers nowadays have to adapt to the latest trends to satisfy employee needs and to drive productivity. Undoubtedly the most relevant of these trends has been the appearance of personal mobile devices in offices. Posing new range of security threats, businesses must integrate these platforms to comply with corporate policies and to utilize the opportunities provided by them, but at what risk? Close the security breaches of your office by securing mobile devices on your network. Keep your employees happy and productive by allowing them to work the way that suits them best. Increase productivity with Self Service by empowering your users to manage their own mobile devices. Maintain corporate policies on personal devices while allowing all the privacy and the freedom of working anytime, anywhere. Unprotected devices in office environment can lead to additional costs, reduced performance, reputational and data loss. SafeComs’ EMM solution maintains corporate security policies on mobile devices while driving employee productivity. Adjust to the latest trend of ‘Bring Your Own Device’ and allow your employees to work the way that suits them best. 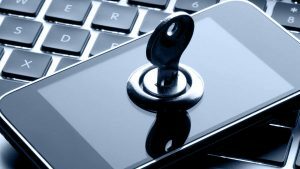 Make sure that your network and business data are safe with our device management and encryption services. Close the security breaches in your office and allow yourself to focus on your core business. Protect mobile devices with proactive identification of malware. With automated scanning, all installed mobile applications are evaluated based on their potential malware threat, including protection against potentially unwanted, low-reputation applications and apps with no known history. Establish and carry out corporate security policies on Android, iOS and Windows devices accessing your network. With automatic remediation keep your business data safe and your devices protected. 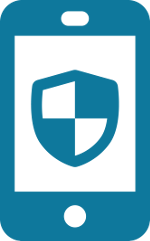 Benefit from market leading antivirus detection for Android devices which with constant updates provides the most up-to-date protection available. Allow secured surfing on the internet from mobile devices. With EMM all opened websites are checked against a database for known harmful websites and prevented to be opened in case of any potential threat source. Provide safe containerized solution for business email, calendar and contacts. Separate business related emails from personal ones on your devices. Enjoy the benefit of additional password protection for work emails. Want to know more about Enterprise Mobility Management?